If you’ve visited Tools before, I’m sure you’ll agree that this site is looking quite different than it looked last week. There have been some big changes and many smaller ones that are less noticeable, all of which will hopefully enhance your visits to this site. Upon the completion of this redesign/enhancement effort, which I expect to be reaching in about 12-14 days, I will be happy to offer a full accounting of what has been done here. In the meantime, I would be pleased to get your comments and/or suggestions. To do so, simply follow the permalink below and tell me what you think! 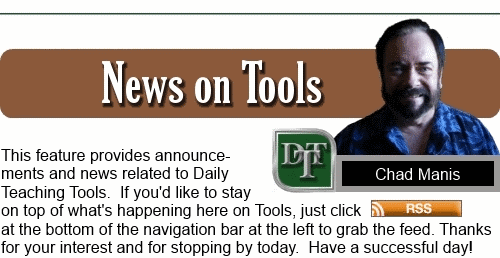 Continue reading "Big Changes Around Here"
As work continues here on Daily Teaching Tools, I appreciate your generous patience. After a month of considerable effort, I’m about 1/3 of the way toward the complete renovation of Daily Teaching Tools. In case you missed my post in November, this entire website is getting a major redesign to enhance the visitor experience on whatever type of device you use to access it (including smartphones). There will be several additional benefits coming soon as well. As I work to institute these changes, you may continue to find things a little disorganized here and there. In fact, some pages of the site may even be downright confusing. If you can’t seem to locate what you’re looking for, I’ll be glad to help. Simply follow the permalink below and let me know about it. Continue reading "Your Patience is Appreciated!" There’s no place like home for the holidays, as they sing. And this is, indeed, a time for us to sing in whatever manner makes us and our loved ones happy. 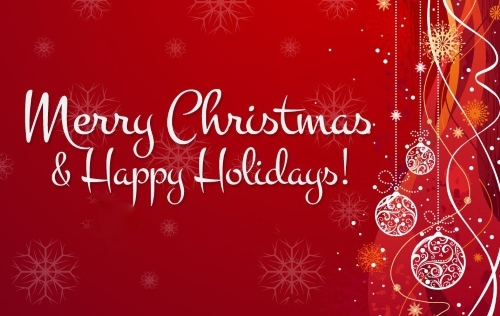 Best wishes from our home to yours! 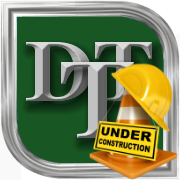 Continue reading "From Our Home to Yours"
First, the good news: This entire website is getting a major redesign to enhance the visitor experience on whatever type of device you use to access it (including smartphones). 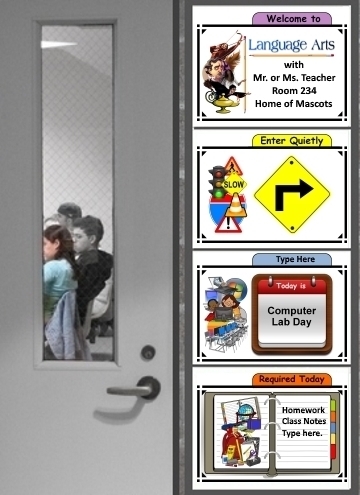 In addition, the entire look and feel of Daily Teaching Tools will be significantly different. You will eventually see, for example, much wider pages than the one you’re looking at right now. Many other improvements are in store as well. Now, the bad news: As I work to institute these changes, you may find things a little disorganized here and there. In fact, some pages of the site may even be downright confusing. If you can’t seem to locate what you’re looking for, I’ll be glad to help. Simply follow the permalink below and let me know about it. I ask for your patience as I proceed, and I promise, the best is yet to come! Continue reading "Please Pardon the Mess!" This last week of October eight years ago today found me trying to launch a new website for my colleagues. By the end of that month, Daily Teaching Tools rose slowly into the internet with one single page aboard. Somehow over the course of those last few days of October, fifteen teachers magically arrived for an exploratory visit. Thanks to each of you for giving this vessel direction. Tools is now clocking 125,000+ monthly visitors and growing. Over eight million teachers have explored the 140+ pages (and increasing) that wire this site. You are the fuel in this journey. Thank you, my fellow teacher, for giving this craft direction and speed. 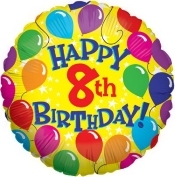 Continue reading "Happy 8th Birthday, Tools!" Vegas has Casinos AND Schools?!? Sure enough. And, fortunately for world history teachers, what you’ll find in Vegas isn’t meant to stay in Vegas. 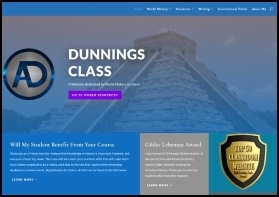 Aaron Dunning, our newest classroom website honoree, has assembled a huge archive of resources for history teachers everywhere. The true standout here is his large collection of what he calls, “This Chapter in the News.” Here, students learn how the events of the past still affect and/or influence the events of the present. This by itself is a compelling reason to visit. Additional examples of resources available here include several sets of essential questions tailored to each epoch of the past, PowerPoint presentations, and an extensive collection of review videos. Simply click on the image above to check all of these out! Do you have a classroom website you’d like to share with us? Could you use a little recognition for the fine work you’ve done? Just let us know by clicking on the permalink below! Continue reading "Vegas has Casinos AND Schools?!?" Details and free samples of all of these resources await you at the other end of the permalink below. Have a safe and successful year, and especially, thanks for all you will do with our kids! Continue reading "Top 6 Back to School Must-Haves"
Me? I’ve got my hands full in Tennessee. If you’d care to know a bit more, or if you just want to give me a shout out, just follow the permalink below. I’d be delighted to hear from you! Continue reading "We Made It!" 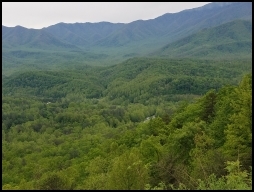 A Brief Personal Note: Tennessee Bound! Time is the reason I’m mentioning this. It’s time for my desktop PC to go into a box for shipping. It’s time to find a new internet service provider. It’s time to travel into a new life and get established in the ancient landscapes we both dearly love. Is it also time for Daily Teaching Tools to go away? Absolutely not. 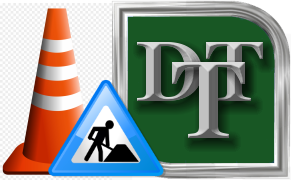 Tools is online, and it will continue to stay online. And, as soon as I unpack my PC and plug back into cyberspace, I’ll be creating a variety of new useful, kid-friendly resources that I hope you may find helpful in your daily endeavors with our kids. As you may know, I typically reply to your questions, comments, and suggestions in 24 hours or less. However, during this transitional time, I ask for your patience if it takes me a little longer than normal to respond. But, I will respond. I promise. I will respond. As always, I look forward to your feedback, which you may express by simply following the permalink below. Thanks for taking the time to read a little about what’s going on with me, and especially, thanks for all you do for our kids! 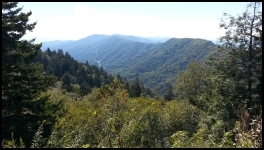 Continue reading "A Brief Personal Note: Tennessee Bound!" No worries here: this entire website has been converted to https. Yep, that ending -s stands for "secure," and it means just that. You won't find any malicious software, Trojan horses, or anything else that would pose a risk to you in any way. Actually, DailyTeachingTools has ALWAYS been secure, but this recent conversion to https makes it completely official. To see for yourself, just travel on over to the home page by clicking on the permalink below. Continue reading "DailyTeachingTools 100% Secure!" This Resolution Never Goes Away! We don’t need a new year to resolve to improve our students’ reading levels--after all, that’s our primary focus all year long! One great tool to help with this daunting task is Level Up on Reading, Volume 1. 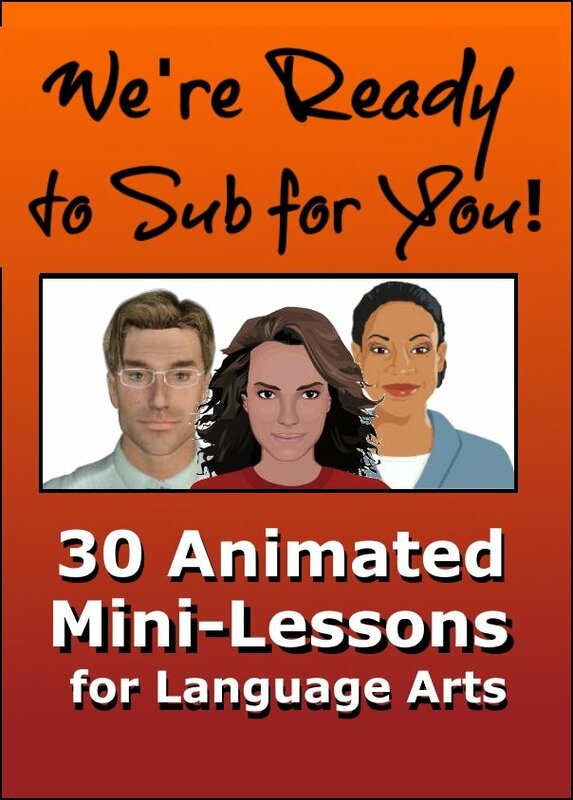 This 50-page publication contains 10, 5-page test packets with a novel, yet surprisingly effective learning strategy for kids, as described in the animation above. For a free sample and complete details, just follow the permalink below. Continue reading "This Resolution Never Goes Away!" They’re on task as soon as they hit your class—for a full 5 minutes! 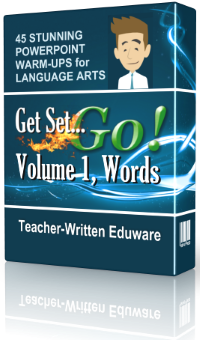 Get Set…Go!, Volume 1 is a stunning, interactive web-based presentation containing 45 warm up activities, hints, and solutions for language arts students, grades 5-9. Students may complete these activities on laptops and tablets. Or, you may also display these warm ups via a digital projector or SmartBoard. When they get to your class, you’ll have them doing what you want them to do, not what they want to do! For a free sample and complete details, just follow the permalink below. Continue reading "On Task When They Hit Your Class"
Continue reading "4 Easy Steps to Boost Student Reading"
You know the drill as well as I do: summer break is over and preparations for our newbies must be finished as soon as yesterday. Fresh off the keyboard, Level Up on Reading, Volume 1 is now available for middle school language arts. If your kids are reading on a lower level than they should, you may want to check this one out! Level Up on Reading, Volume 1 contains 10, 5-page reading comprehension packets drawn from engaging works of fiction, nonfiction, and autobiography. What makes this reading resource unique is its cohesive, step-by-step approach to autonomous learning mastery. To see the full details for yourself, just follow the permalink below. Continue reading "New Reading Resource Released!" They're bored already?!? We'll never hear them admit it, but this early into summer break, many kids are fit to be tied. So, why not tie them into a few good books? Whether you're a teacher or a parent, this recently-updated page of reading resources may be just what you need to give those young minds an entertaining challenge. Here you'll find the latest Newbery and Caldecott Medal books, as well as the top 10 graphic novels of 2016. Also featured on this page are Book Adventure, a wonderful online resource that suggests book titles based on student interests, and the Goldilocks Test, a quick and easy way to determine the difficulty level of any text. To see these resources (and more) for yourself, just follow the permalink below. Continue reading "Summer Reading for Kids"
Our precious, annual rite of passage is finally upon us. 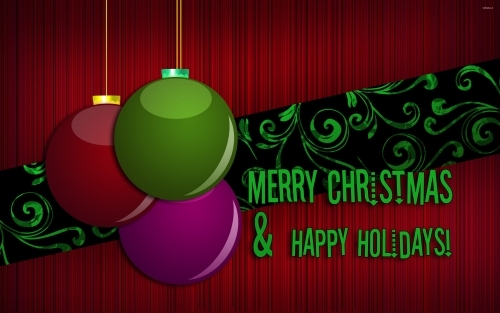 Please enjoy, to the fullest extent, every inch of this special time of the year in whatever way pleases you most. How about you? Please share with us an item or two from your to-do list for the summer! It’s easy. Just follow the permalink below and place “Summer Plans” anywhere in your title. Continue reading "Share What You’ll Do!" The last few days of the school year are upon you, and you're at a loss for what to do. Do you emphasize fun or attempt to squeeze in some last-minute learning? 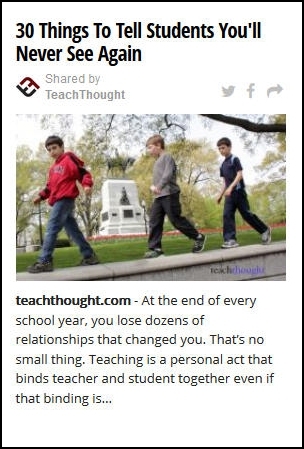 To read the rest of this engaging post from Education World, just click on the permalink below. Or even better, please share your ideas for this challenging time of year with your fellow colleagues and me! Just click on the calendar image above to participate. Continue reading "10 Easy End-of-Year Activities"
Not too Late, but Hurry! 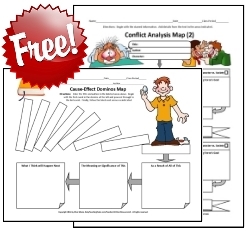 A free, 18-page teaching resource folder is waiting for you. Included are practice reading tests, graphic organizers, a complete reading comprehension activity, and more. Just let me know that you’d like me to stop by! We are currently in Chattanooga, and we’re headed for Nashville, Louisville, Lexington, Knoxville, and then on to Sevierville, Tennessee, and Columbia, South Carolina. If you’re along that route, and you’d like to get one of these resource folders, simply follow the permalink below to drop me a request! Continue reading "Not too Late, but Hurry!" 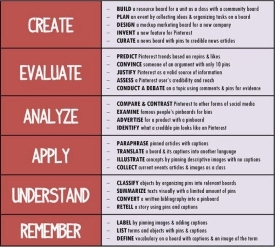 Believe it or not, Pinterest can be quite useful in the classroom. This list of 25 strategies based on Bloom’s Taxonomy comes from the folks at TeachThought. Categories of strategies included here are remembering, understanding, classifying, applying, and analyzing to name just a few. To see the specific strategies listed for each of these categories (and the ones not listed), simply follow the permalink below. Continue reading "25 Pinterest Classroom Strategies"
Gripping reading material coupled with literary prowess, many of these 24 short works are the very same ones that I’ve used with my middle school kids over the years. The folks at WeAreTeachers.com, the compilers of this list, certainly agree with me. Titles here include The Most Dangerous Game, An Occurrence at Owl Creek Bridge, and The Fun They Had to name just a few. To see the rest of the list simply follow the permalink below. Continue reading "24 Great Short Stories for Middle School"
The interactive Printing Press from the folks at Read Write Think is designed to assist students in creating newspapers, brochures, and flyers. Teachers and students can choose from 5 layout options for newspapers and flyers and 1 option for brochures. Text added to the templates can be modified using a simple WYSIWYG editor, which allows students to choose text features, such as font size and color. A basic planning sheet is also available to help students gather ideas before working with this cool, interactive tool. This is a barebones basic desktop publisher, to be sure, but certainly adequate for young publishers. To send your young journalists on their free journey to publication, just follow the permalink below. Continue reading "Free Student Publisher App"
On my Way to Your School?? I have a free, 18-page resource packet ready for you—just let me know! 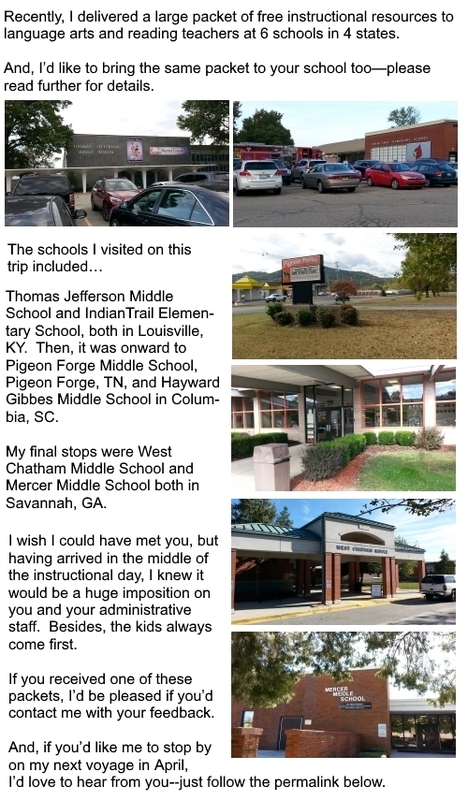 If you teach in Georgia, Tennessee, Kentucky, or South Carolina, I may be able to stop by. We’ll be headed to that region during the last week of April and first week of May. Although I’d love to meet you, I don’t plan to disturb your instructional day in any way. 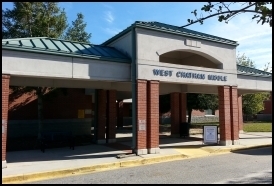 As a result, I’ll be happy to leave this free packet with your front office staff, as I did at West Chatham Middle School in Savannah (pictured here). If you’d like me to stop by, just follow the permalink below—but, don’t delay. We leave in just a few weeks! Continue reading "On my Way to Your School??" For full details and a free, 12-Sign Sampler Pack just follow the permalink below. Continue reading "Brand New Classroom Signs!" This free, game-like, random name selector would be great to use in your classroom. Just enter your kids’ names, click “Go,” and it scrolls the names from bottom to top to select the “winner.” One button click removes the selected name from the list before the selector runs again. Go ahead. Click on the image at the right and give it a go! Zack Vogel from Lyons High School in Kansas is the creator of this cool, little utility. He also happens to be the most recent honoree in our Website Award Showcase. You haven’t created your own utility? No problem. You can still submit your site for a Top 50 Classroom Website! Just follow the permalink below to participate. Continue reading "Free Class Name Picker"
The recently updated Tablet Tutor collection is ready for online access. Yep, these puppies will run on ANY internet-connected device except for smartphones. Don’t need all 12 mini lessons? No problem. Just grab the one(s) that interest you! I’ve tried my best to load these apps with engaging, instructional content, and to include plenty of tap, swipe, and drag-and-drop interactivity to maintain interest and engagement. Now, it’s up to you and your kids to decide if I succeeded. For full details and complete, fully-functioning free trials, just follow the permalink below. Continue reading "12 Low-Cost Lessons for Language Arts"
I Visited While You Were Teaching! Continue reading "I Visited While You Were Teaching!" This last week of October six years ago today found me trying to launch a new website for my colleagues. By the end of that month, Daily Teaching Tools rose slowly into the internet with one single page aboard. Somehow over the course of those ten final days of October, fifteen teachers magically arrived for an exploratory visit. Tools is now clocking 125,000+ monthly visitors and growing. Nearly two million teachers have explored the 140+ pages (and increasing) that wire this site. You are the fuel in this journey. Thank you, my fellow teacher, for giving this craft speed. Continue reading "Happy 6th Birthday, Tools!" Get Your Free Resource Packet! You have to be a teacher in Chattanooga or Nashville, Tennessee; Louisville or Lexington, Kentucky; the Sevierville region of Tennessee; Columbia, South Carolina; or Savannah, Georgia. This packet (3 pages shown here) contains graphic organizers, practice reading tests, a complete reading comprehension activity, and others materials that can be used straight out of the folders I’m bringing. Although I’d love to meet you, I don’t plan to disturb your instructional day in any way. As a result, I’ll be happy to leave them with your front office staff. If you’d like me to stop by, just follow the permalink below—but, hurry. We leave in just a few days! Continue reading "Get Your Free Resource Packet!" For full details plus a free, sample preview, just follow the permalink below. Continue reading "Jigsaws DON’T have to be Puzzling…"
For full details plus a free, fully-functioning demo, just follow the permalink below. Continue reading "Stunning Warms Ups for Language Arts"
Continue reading "A Special Note for You"
Today’s warm up activity is visible, and the kids are on-task right away—with just one click of the mouse! And there are WAY more bells and whistles with these puppies than space allows here. For full details, AND the complete, fully-functioning demo, just follow the permalink below. 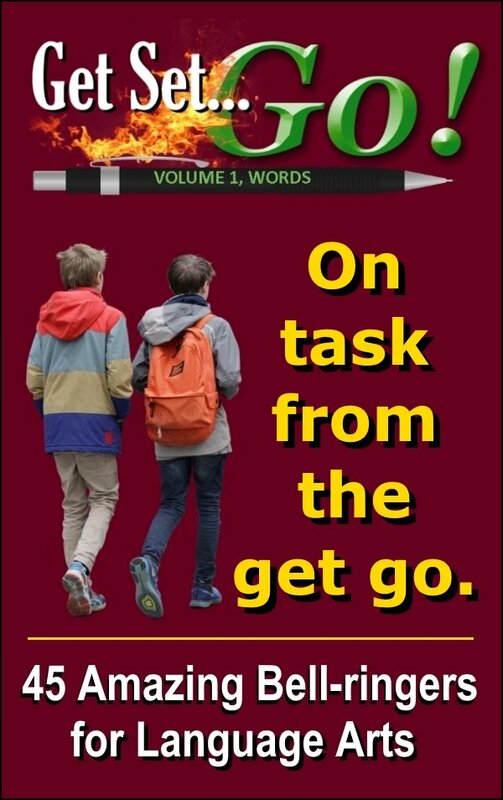 Continue reading "On Task as Soon as They Enter"
Yep, that’s yours truly with Tools’ very first guest author, Janice Malone. We met up in Mousetown (you probably call it “Orlando”), Florida, for a TpT conference last week. As mentioned in the title of this post, meeting up with a teacher who visits this site is truly a rarity. But, to meet someone who has actually written an article for Daily Teaching Tools was something I had never imagined. If you haven’t had a chance to read Janice’s guest author’s post entitled, “Writing Secrets: Inspiration in a Remedial Writing Lab,” check it out when you have a chance. More importantly, Janice’s many TpT instructional resources for language arts teachers may be just what you’ve been looking for as we begin preparing for the new school year! To see if you agree with me, just follow the permalink below for her complete listing. 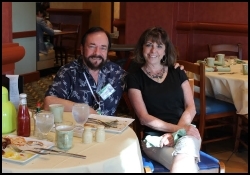 Continue reading "First-Time Meeting with a Guest Author"
The class of 2028? Is anybody really that young?!? These cute, little kindergartners who attend Mr. Krokos’s class certainly are. 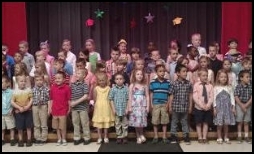 The bountiful slideshows, song videos, and class project vignettes posted on this site are truly heart-warming. If you want an idea or two for your classroom site, or if you just want your awww moment for the day, just follow the permalink below. By the way, Mr. Krokos plays a mean Hendrix-esque Star Spangled Banner that really is a must-see-listen. Do you have a website you’d like to nominate? It’s simple and easy! Continue reading "New Classroom Website Honoree"
Congratulations on getting to your summer break! When you’ve had a chance to catch your breath and all of the daily demands begin to loosen their grip on your gray matter, come on by and visit Tools! We have a new feature called Trending in Our Classrooms, and it will have lots of creative ideas about things that you may like to do with your kids in the coming school year. Because Trending in Our Classrooms is updated daily, you’re sure to find some compelling strategies, resources, and tech ideas that will be well-suited for opening a new school year with style and substance. To see today’s issue, simply follow the permalink below. Or, if you would care to continue reading the article shown above, just click on its boxed image. Thank you for all you did for your kids during this school year and for all the things you will do with that new bunch that will come your way soon! Continue reading "You’ve Really Earned This!" Wish I Could’ve Met You! Continue reading "Wish I Could’ve Met You!" Won’t you take a moment to look at this?!? It’s a classroom website that features a horizontal collage of photos running at topside—and, they provide the navigation to the contents. The visitor simply selects a thumbnail photo of interest to link into and explore what you might expect to find on such a site, along with a variety of resources. These include GO Math!, the Oakland Public Library, Khan Academy, PBS Learning Media, and TIME Edge, to name a few. Many thanks to Maurice Williams, a multi-subject seventh grade teacher at the American Indian Public School in Oakland, California, for submitting this for a website award. To have a look for yourself, just click the horizontal collage above. Or, to nominate your classroom website, simply follow the permalink below. Continue reading "Innovative Classroom Website"